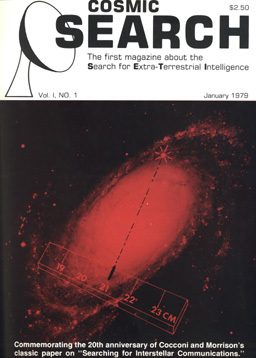 Cosmic Search was the first magazine to be devoted to SETI and astrobiology (the second was SETIQuest). The organization behind the publication, Cosmic Quest, Inc., was established by by John Kraus, a professor of electrical engineering at the Ohio State University and director of the Ohio State University Radio Observatory (OSURO), later often known as the Big Ear Radio Observatory. The editorial board included Arthur C. Clarke, Philip Morrison and Carl Sagan, as well as many other noted scientists and scholars.